The Comeback Story of the Season . . . The Killington High School has never felt the glory of victory at the district championship. This is the first year that they have even come close to coming out victorious in the end. They are only one win away, and now they must compete against their most ferocious rivals, the Elmwood Heights Badgers. The two separate towns have been at each others throats for as long as the two towns have stood, and now it's time for one of them to take all of the glory. Unforeseen events take the Jackrabbits to the bottom of the river, killing every player, except their star quarterback Cole Logan. Cole is positive that what happened to his teammates was certainly no accident, it was murder. The only thing that can bring him to this deduction is that he himself was brutally attacked by three men in ski masks earlier that day, leaving him injured beyond repair. Now Cole can only think of paying back the men who have hurt so many lives, so he turns to black magic to bring his team back from the dead. With only the coaches daughter, Savannah Hickmam, they race against time to lead his zombie team to victory. Cole Logan is clearly a bad boy. He has tattoos, and piercings, and even rides a motorcycle everywhere he goes. He's a bit of a loner, and really only wants to get out of the small town of Killington with the help of a football scholarship. It's not easy being poor in this world, and he's driven to use his talents to make something of himself. I really like characters like this, that put their all into the one thing that drives them. He was passionate about his sport, and utterly determined to become something, not just another nobody on the sidelines stuck in Killington for the rest of his life. Savannah Hickman is pretty much the opposite of Cole. She's your regular good girl, getting good grades and even a member of the school's paper. She doesn't do anything bad, save stay up all night in order to make a deadline. The only things they have in common are their passion for getting out of Killington, and Coach Hickman, who happens to be her father. I really liked Savannah as well, and even more so than I did Cole. She really wanted to help people, and thought it was wrong to bring the team back as walking corpses. She did see that it was necessary to have them play though, so despite her fears and her worries, she stood by Cole's side until the end. I've always liked books about the paranormal, so when this book showed up in my mailbox I was super excited. I was immediately drawn to the cover, with that decaying football player and his glowing eyes. I've never been a huge fan of football, but zombies? I'll take a zombie any way I can get him, or her. This was an exciting read, because it was not like any other zombie novel that I have ever read before. 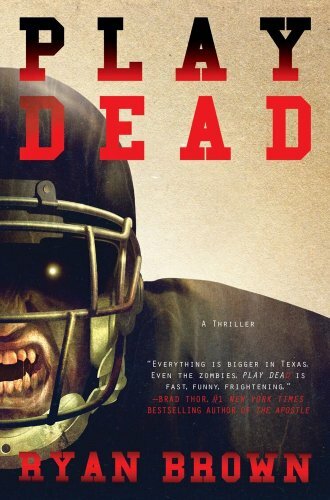 I think this well may be the first book about football playing zombies, and honestly whether you like football or not, it's a great read. I was a little confused when the author went into detail about football plays and what was a penalty or not. This didn't really bother me though, because the real story isn't about the football itself, but about never giving up on what you care about, and pushing for all your worth to make it happen. I received this book for review unsolicited by the publisher, Gallery Books. oh this sounds amazing. thanks for the great review. I really want to read this now. 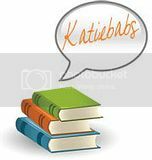 Lauren - I'm so thrilled that you want to read it! Thanks for stopping by! I've heard about this book before, and every time I hear about it I think of the part from the Beetlejuice movie where the football player runs into the undead helper ladys office and asks her "coach where's the bathroom" hehe. Sounds like something I'd like to read! Jess - I don't know why I didn't think of that while reading this book! I LOVED Beetlejuice! I think that was the only movie in existence that I watched over and over again, lol.